The offices of Knox Patents are located in Suite 108 at The Courts, 8044 Ray Mears Boulevard, in West Knoxville between Knoxville Regal Theater and Target near Downtown West Blvd. Get off the interstate at Exit 379, Cedar Bluff, and turn right on Bridgewater Road. When you reach Kingston Pike, turn left. Stay on Kingston Pike for several blocks. Turn left when you reach Downtown West Blvd. At the first light on Downtown West Blvd. turn left onto Ray Mears Blvd. Turn right at the first entrance past the corner. Suite 108 of the Knox Patents office will be on the left in the middle of the building. Get off the interstate at Exit 380, West Hills. Stay on Montvue Road and cross over Kingston Pike. At the first light, turn right onto Ray Mears Blvd. Follow Ray Mears Blvd. Turn left at the first driveway after you pass Target on your left. Yahoo! Map of 8044 Ray Mears Blvd. The information on this site is not, nor is it intended to be, legal advice. 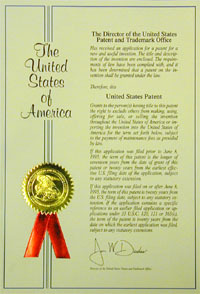 You should consult a patent attorney or a patent lawyer for individual advice regarding your particular situation. Copyright © 2005-2019 by Knox Patents: Kulaga Law Office, PLLC. Knox Patents is not affiliated with Knox County and is not a public legal aid agency. Knox Patents is a service mark of Kulaga Law Office, PLLC.